It is at this point in the year when the President of the United States provides Congress with a mandatory State of the Union report. While it is now delivered as a speech, it was not always the case. In the long tradition of the State of the Union, delivering it as a speech to Congress is a relatively new development. So how do you use the State of the Union in your classrooms? This post will share some useful resources for teaching about, discussing, following, or using the State of the Union address as a teaching and learning tool. 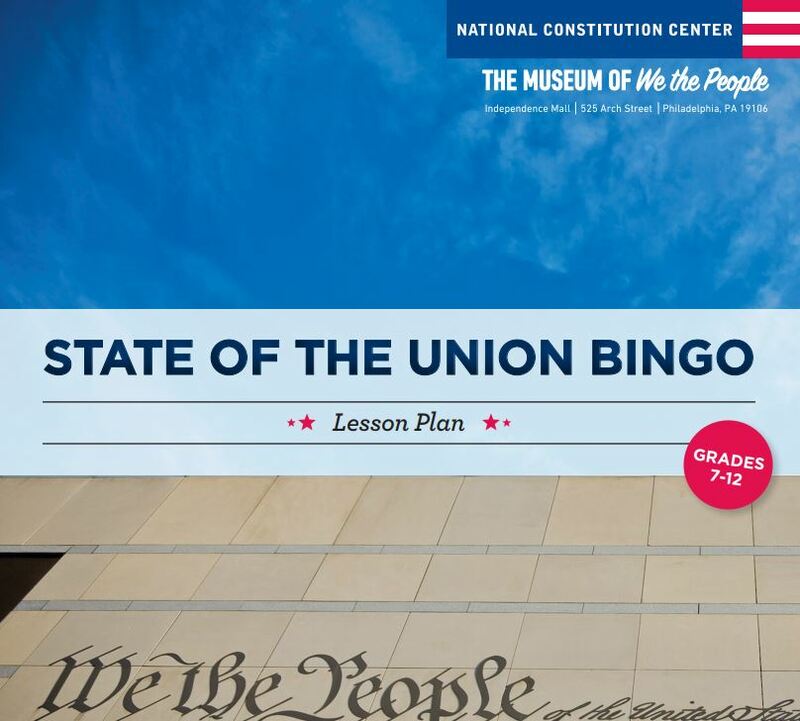 This is an extended and engaging lesson, popularly used by social studies teachers of multiple grade levels across the country, and easily adaptable for your classroom. Describe the events and topics addressed in the State of the Union speech. 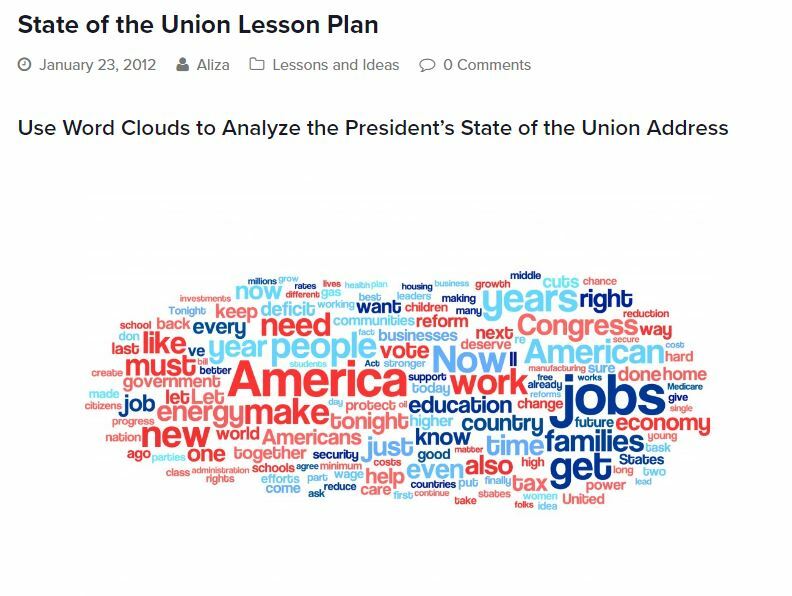 This is not a particularly deep lesson, but it does engage students with analyzing the language and content of the State of the Union using word clouds. What terms, concepts, ideas, language appears the most in the address? What does that mean for the goals and purposes of the president and his or her constitutional duties? 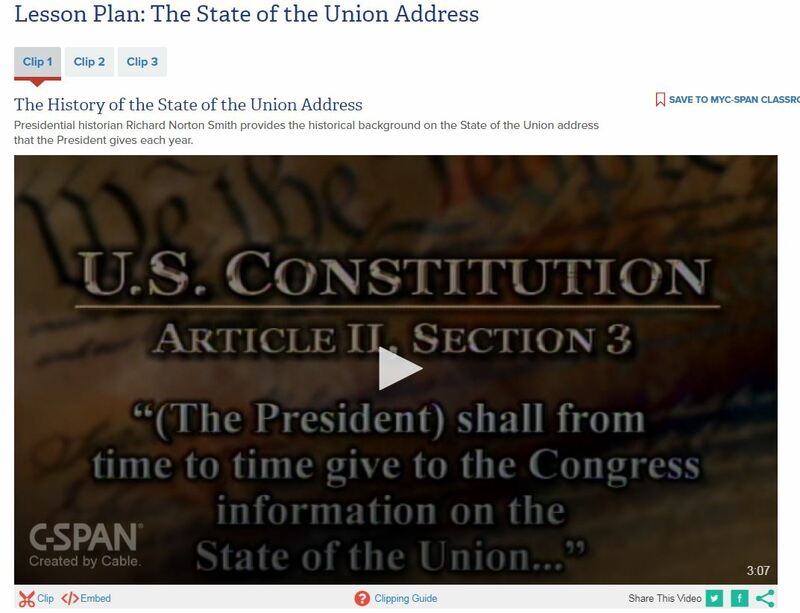 This lesson, from the good folks at C-Span, has students identify the constitutional requirement for the State of the Union address, examine the issues presented in State of the Union speeches, and analyze President Trump’s proposals for each issue. It has them breaking down the address comparing it to prior presidential addresses and State of the Union speeches. 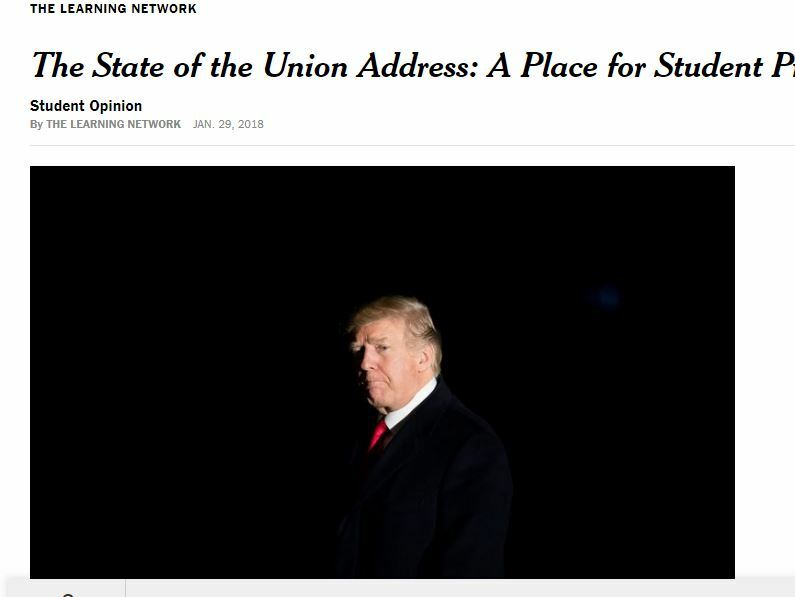 The New York Times is hosting an online 'pre-discussion' of the SOTU address that allows students to share their opinions and predictions, and then a post-address discussion. While you may not want to have your students as part of the conversation, the guiding questions and approach taken here may be something you want to duplicate in your classroom. The 22x20 Campaign (so named because there will be 22 million new voters by 2020) is hosting an online 'viewing party' and will have an active presence on social media. Students can take part in the conversation by using #22x20 online. This is a great opportunity to engage with other students all across the political spectrum during the address, and can be a fruitful source of ongoing discussion in your classrooms.